Meet the ultimate beer koozie – the BottleKeeper. It works, it has a sleek design and it is fun to use. Chris and I brought our BottleKeeper koozies with us pretty much everywhere over the last few weeks. We had many chances to test their performance in a variety of settings. They definitely visited more spectacular spots in this colorful state of ours than the average tourist does. Heck, more spots than the enthusiastic Colorado visitor does. And we have no plans to quit – remember, the Perrines live in Colorado on purpose. It is all about the outdoors, the craft beer and the cool people who love both of these things. And at this point our BottleKeeper koozies, our awesome local brews (many of which are sold bottled) and us are fast friends. And our blog has become an affiliate for BottleKeeper. Because read below. Actually before I get into the fun that reviewing this beer koozie is let me settle a somewhat nerdy word choice/spelling controversy. This really makes for an interesting debate and many people participate in it, mostly on account of regional language differences. Clearly we are talking about a beer bottle koozie here as opposed to a wine bottle cozy or a tea pot cozy. 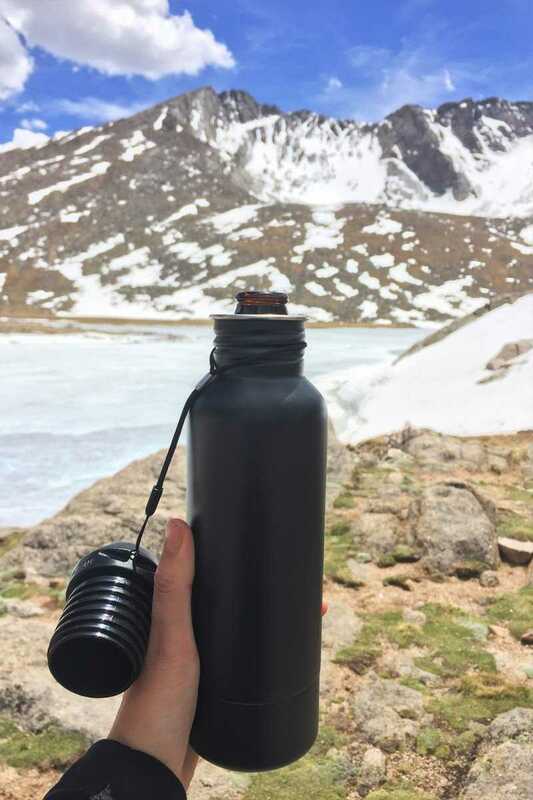 One is a neoprene sleeve for your beer can or bottle that keeps it cold and protects your hands from the possible discomfort of touching a container that is too cold. The other one is a cute, many times knitted or crochet wine bottle or tea pot cozy sleeve, usually popular in winter and around the holidays and often adorned with elaborate pretty patterns, snowflakes and such. Each has its own use and its own fans but I just had to clarify. 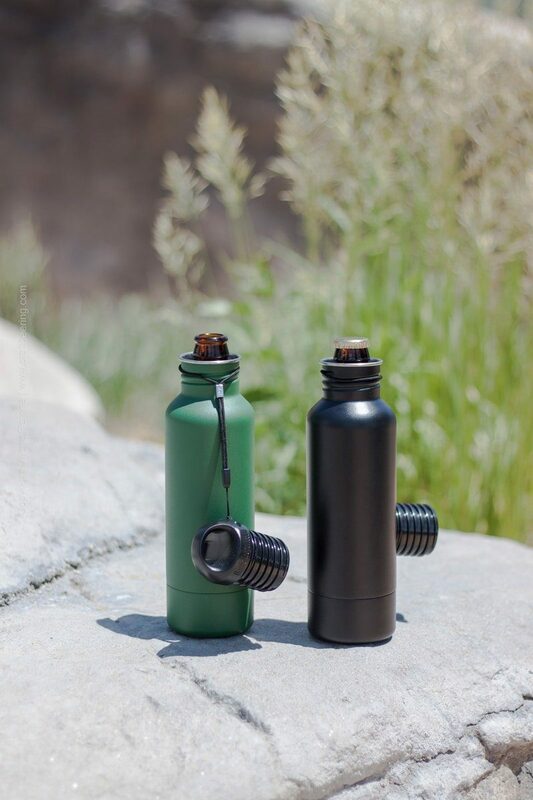 This post is about a cool product designed by two cousins (this is not a play of words, the founders of BottleKeeper are cousins) to keep bottled beer cold for maximum enjoyment in un-rushed situations. 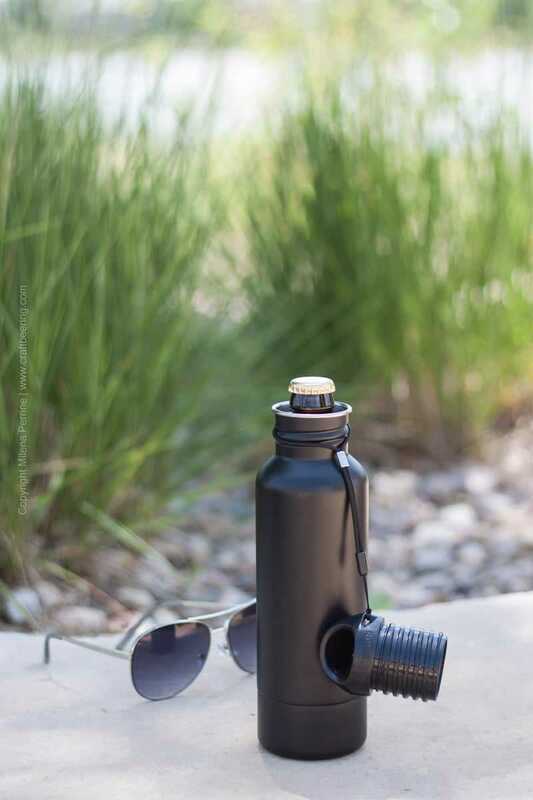 As far as beer bottle koozies go, you won’t find more versatile and better performing ones than the nifty BottleKeeper options. What is true is true. Sometimes neoprene sleeves are on the flimsy side and do not necessarily hug the beer container tightly hence they allow the precious liquid to warm up. Sometimes they only provide coverage for part of the can or bottle. Not so with the ultimate beer bottle koozie. It has a stainless steel ‘spine’, shaped like a water bottle which protects the bottle from breakage. It completely covers the beer bottle. Inside, there is a neoprene lining which contours the bottle curvature accurately and insulates it. As they say over at BottleKeeper – ‘It’s science’. On the outside the stainless steel is fortified with a layer of durable powder coating. A reliable bottle opener is integrated within the screw cap of the bottle keeper. How cool is that? In our opinion it beats all the methods of opening a beer bottle that are known as party tricks. Plus, the cap is tethered to the neck of the bottle, which makes it hard to lose or forget. If you do somehow lose your BottleKeeper cap don’t worry – replacement ones are available. I am notorious for misplacing water bottle caps and love that this cap is tethered, but make no mistake, one day my abnormal talent for setting things aside and forgetting them there will prevail and even a tethered cap will yield to its power. 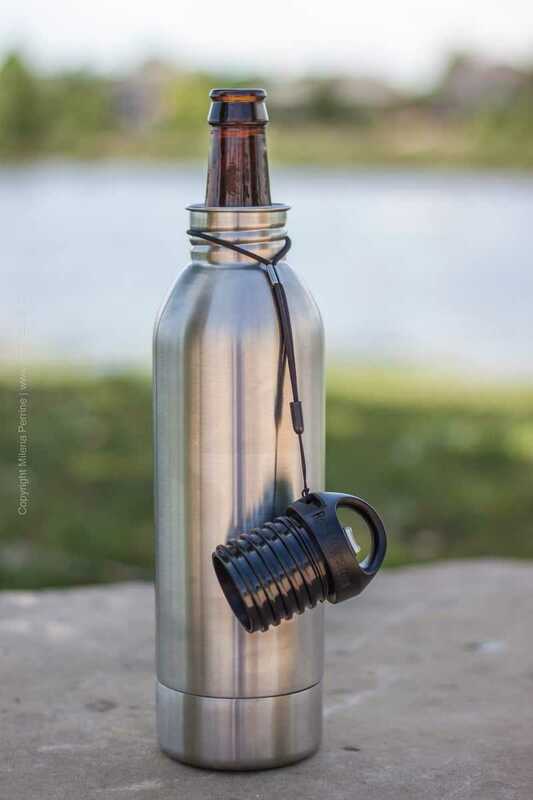 As mentioned above this is the beer bottle koozie you want to bring on hikes, especially if you are aiming at Rocky Mountain type of terrain which is known for its many…rocks. 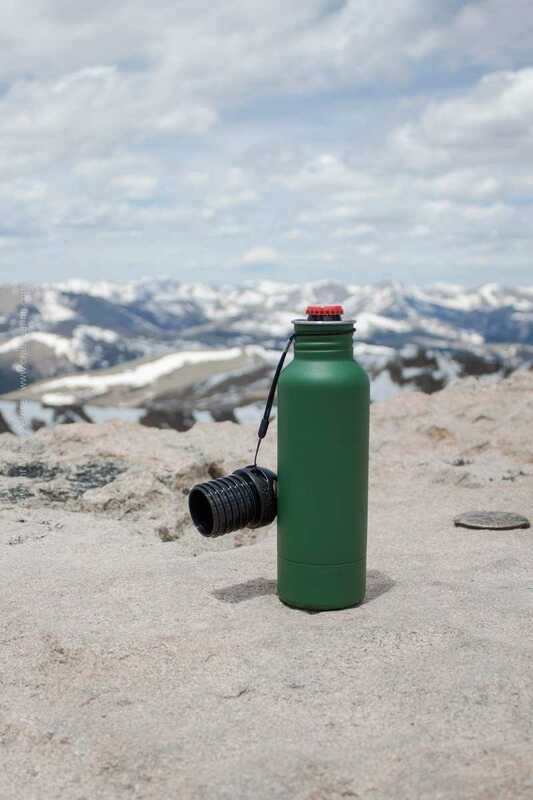 Our BottleKeepers made it to the top of Mount Evans, one of Colorado’s fourteeners and we had no fear whatsoever that there will be shattered glass involved. And yes, even though you do see snow capped peaks – it is summer and beer does need help staying cold. Sometimes you do not want to parade your beer bottle in front of everyone. For a variety of reasons. Perhaps there is a recovering alcoholic at your picnic you do not want to tease or you name it. The superb coverage of this hard shell beer koozie is designed for the job of assisting you to enjoy your cold beer discretely. Beer bottles come in many shapes and sizes and so do BottleKeeper koozies. Besides the standard bottle sizes there are stubby bottle koozies and bomber bottle koozies. We especially like our bomber sized one. More beer is better. Besides the overall sleek design of the beer koozie and the appeal of the external powder coating there are multiple colors and print designs available. And if you want your very own special design or logo printed on a BottleKeeper koozie your wish is easy to fulfill. Individual orders placed through the company’s online store can be custom laser engraved. Alternatively, full color custom printing is available for bulk orders. As with many things your best bet is to to go straight to the company’s website to make a beer koozie purchase. Chris and I love to support small and local businesses and by far the best way to do so (besides buying their product) is to buy their product directly from them. If you must shop elsewhere, BottleKeeper is available on Amazon. Who doesn’t like the Prime shipping arrangements, especially when you are sending a gift to a recipient out of state and you are in a time crunch. We enjoy using the BottleKeeper beer koozie so much that we’ve included it in our permanent craft beer lover’s gift guides. At your leisure we invite you to browse our curated collection of Unique Gifts for Beer Lovers Guide and a bit more specifically targeted Beer Gifts for Him. Remember to enjoy your craft brews responsibly. Do not drink beer in areas where you are not supposed to and abide by open container laws. OK… Seriously… no joke I went looked at the pictures and didn’t realize these were the beer koozies, I didn’t even see the beer bottle peeking out. These are AWESOME!!! I know tons of people that could use these. They would be great on hikes. Thank you for the video, they look crazy simple to use. Right? Best koozies ever:) Thank you, Mary! Thank you, Dawn! 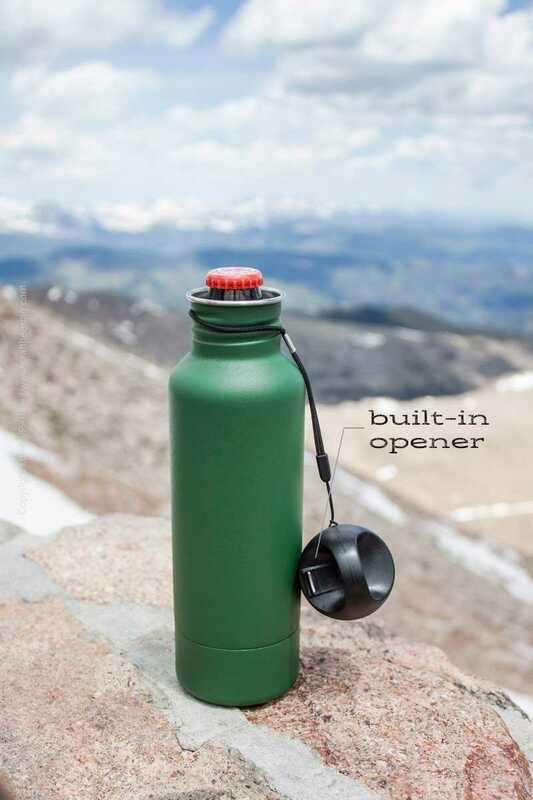 Yes, very convenient for hikes or even when just sitting on the porch looking at the mountains. That was delightful to read, and that scenery…wow! We need to come to Colorado and visit! I had never seen that beer bottle koozie! Love it, especially the green one. Their features are fantastic, it looks like a design piece and works amazing. Thanks for the info and the pictures. Enjoy your outdoors! Thank you, Nicoletta! 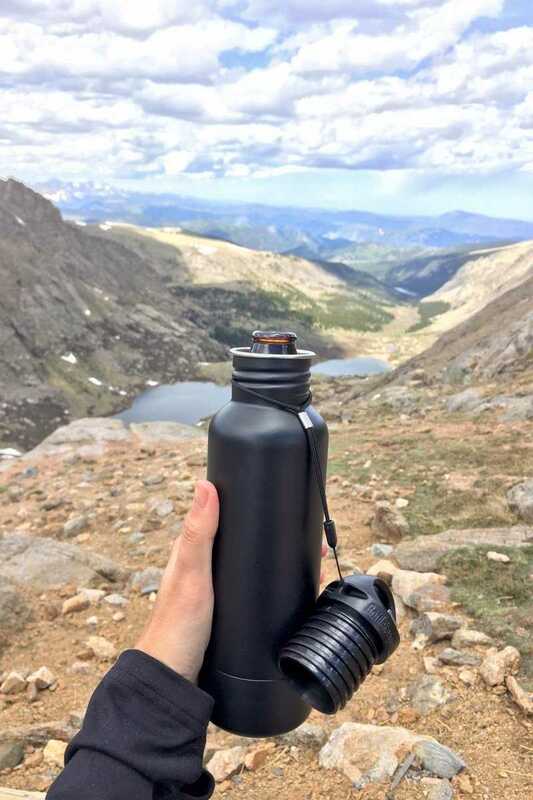 Yes, it is such a rad product and so well suited for the Colorado lifestyle! Hope you guys visit here soon.